Church dating back to at least early 12C. Charles and Mary Lamb buried in churchyard. 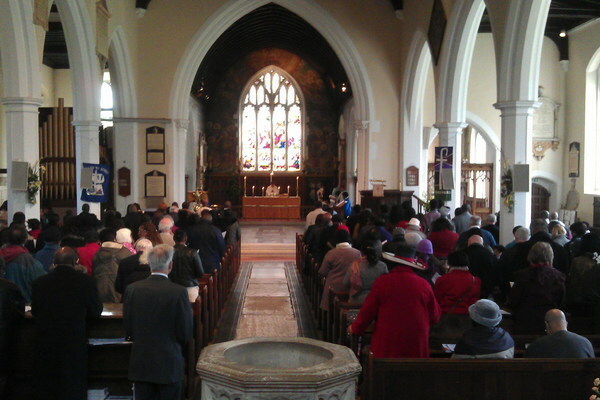 The ancient parish church of Edmonton. The entry in Pevsner’s Buildings of England records that a church existed here by 1136-43 when Geoffrey de Mandeville gave it to Walden Abbey. The Norman remnants at the west end of the south aisle imply that the building was an impressive structure. That being the case, the possibility of an even earlier foundation is likely. The building was much altered and extended through the centuries. 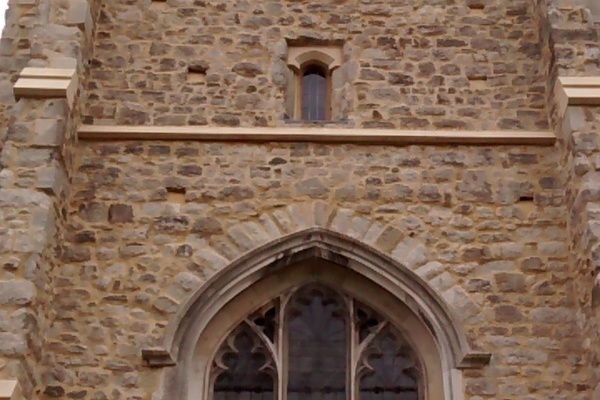 Externally the fifteenth century ragstone tower dominates and is the most impressive element. The other external elements Georgian faced north aisle, Victorian (rebuilt?) south aisle, and mixed medium east end are a confusing mix which indicates a complex building history. The roofs internally are of particular note; vestry and nave fifteenth century, north chapel sixteenth century, north aisle seventeenth century, chancel Victorian for the most part, and south aisle nineteenth.